New Ringtones 2018: MP3 Cutter & Ringtone Maker 2018. Download and enjoy now for free new Ringtones 2018, the app will help you listen to new music ringtones and set them as calls, SMS, alarms & notification sounds. 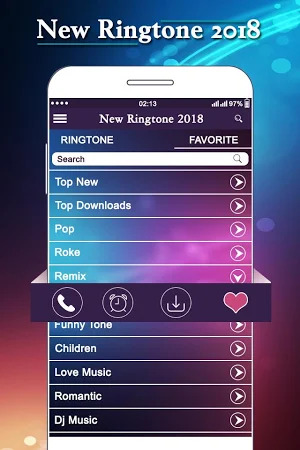 Enjoy listening to the most known ringtone 2018 of the most famous songs in the world. 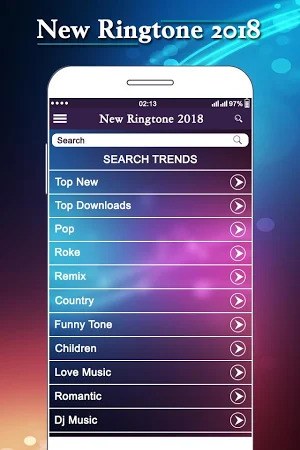 New Ringtones 2018 is totally safe for downloading. Birthday Song developed this application that falls into the Tools category. The overall rating for the app is 4 on Google Play. 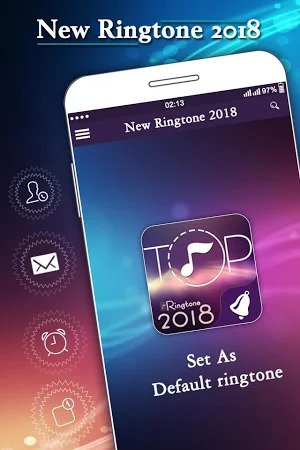 Over 100K users installed New Ringtones 2018 and its most recent update was released on Sep 12, 2018. This application has adverts. 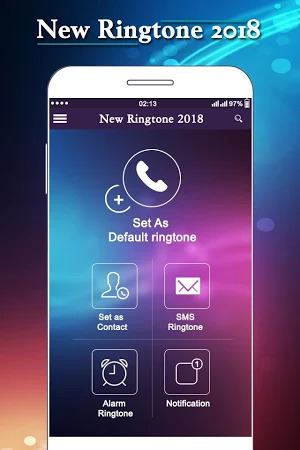 You are able to get the installer of New Ringtones 2018 1.3 for free and take a look at users' reviews on Droid Informer. The app runs on Android 4.1 and above. As users indicate, the weak side of the app is too many ads. Can't wake up? With this alarm clock you sure will get up on time. Circle Alarm is the most intuitive alarm clock for Android. Highlights of headphone booster and Music sound booster app: Play music with Effect. Flashlight alert is a smart app to alert you when you receive a phone call. It is a totally new and professional volume control app and sound booster. Software Shortcut Keys: Computer Shortcut Keys. Men Moto Photo Suit 2018 is a photo editor app with man bike photo suits. Shayari Jo Deewana Bana De: Shayari Collections. Voice Screen Lock. Speak something to unlock your phone. Delete Empty Folders and Recover Deleted Files. All Language Voice Typing: Speech to Text. Mobile Number Owner Name Janiye / Call History Janiye. Screen Mirroring For All TV.